These are words of encouragement and reminders for all families. 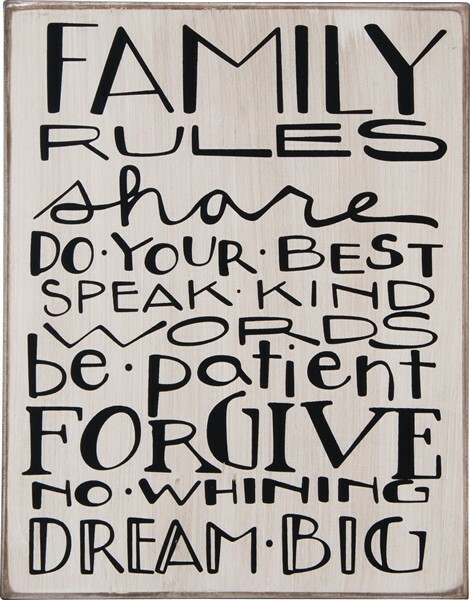 Great home decor for the kitchen, dining, family room or wherever your family hangs out together. Made of wood the sign is approx 8.25" x 10.5". What a special home warming gift!